Business is driven by the numbers, especially in this era of big data. That makes analytics—the process of gathering, interpreting and using quantitative information—an essential part of how organizations function. For individuals interested in taking the next step in their careers, a thorough understanding of analytics can be a major advantage that pays off with results in the workplace. Online MBA programs teach students about the principles that lead to wise business decisions and provide them with opportunities to strengthen their leadership ability. These courses also include opportunities to focus on the career-oriented skills graduates will take into their jobs. Those who select a specialization in analytics may find they learn tools and techniques that offer a wide range of benefits for their future in business. Every business has its own mission and model for growth Having clear, quantitative reasoning standing behind any new initiatives gives the entire organization a sense of direction and a yardstick for measuring its progress. Gathering extensive quantitative information and making projections accordingly is the means for turning the company’s stated mission into actionable steps for progressing and scaling up over time. For an organization to achieve sustained growth, it needs employees capable of creating thoughtful medium- and long-term strategies. Analytics gives you the tools to formulate and execute plans for improving all aspects of how the business operates. With the right quantitative information, it’s possible to spotlight areas that are ready for transformation. Data reveals business opportunities that are currently going untapped and offers methods to predict the impact of a fresh approach. Taking into account the latest innovations at similar companies and across related industries, analysts pick out chances to stay ahead of the curve and differentiate the organization’s offerings. The massive amount of information available concerning everything from best practices in manufacturing to online customer behavior points to the challenges that must be resolved—and guides the creation of models for better decision-making. Among the opportunities that analytics uncovers are possibilities for making more judicious use of resources and streamlining processes. A leader trained in analytics is positioned to collaborate with various departments and maximize efficiency throughout the organization. When big data and prudent operations management come together, the result is more agile and effective completion of the essential tasks that keep a business running. For instance, analytics has revolutionized the supply chain for many companies. In an environment oriented around e-commerce, businesses increasingly rely on the ability to transport products to their customers as speedily as possible. With real-time monitoring and updates, management knows immediately when it’s time to restock a particular product, or if an urgent issue arises in the warehouse. The vast information yielded by analytics can seem complex and confusing. For those with the necessary training, however, those numbers often add up to direct, compelling arguments for a new direction in the organization. Part of learning about analytics is discovering how to convey what the data has to tell a variety of audiences in both words and visualizations. That ability to communicate is vital because it allows productive collaboration within and across teams. Charting out precisely how a change in a particular process will save the company time or resources, and how much the business stands to boost profits by pursuing an emerging opportunity, makes for a convincing case to decision-makers. 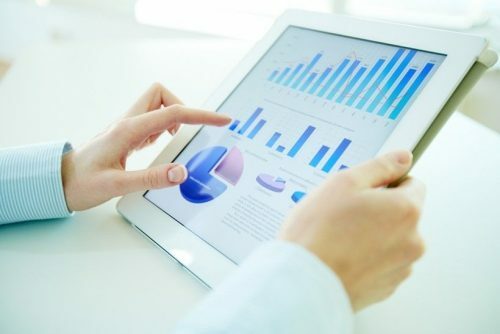 At the same time, analytics reveals useful details to various departments, cutting down on wasteful processes and optimizing products or tools. The Villanova University Online MBA program equips students with the knowledge and skills they need to excel in today’s data-driven business world. With specializations available in analytics, finance, marketing and strategic management, you can choose the focus that suits your individual interests and planned career path. Visit the program page to find out how to apply.